Winter got you in a funk? 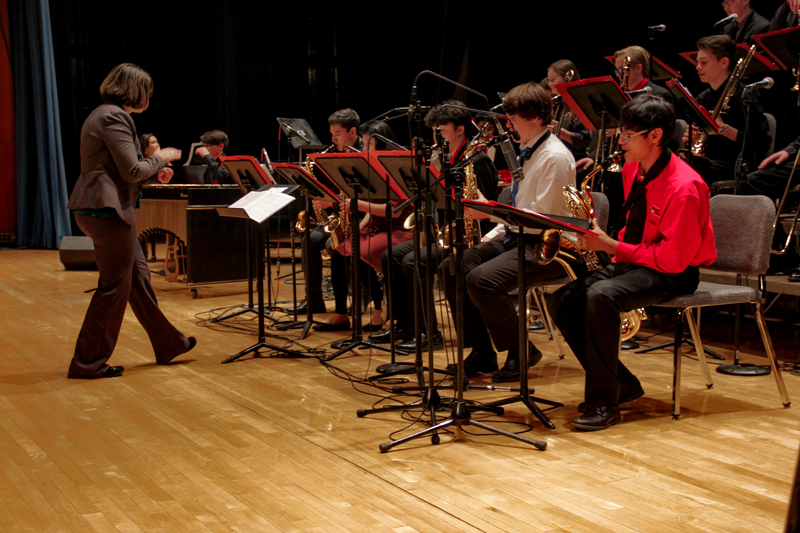 Get out of that funk by experiencing our annual Jazz in the Schools weekend 2/7 through 2/10. The Reno Jazz Orchestra (RJO) and the University of Nevada, Reno (UNR) will host a full weekend of big band jazz in the Church Fine Arts building on the UNR campus. Under the guidance of Dr. Andy Heglund, Jazz in the Schools has grown from a one-day event to four, so let me tell you what you can expect. Saturday February 9, 2019 is a full day of student big band and jazz combo performances starting at 8:30 am in UNR’s Nightingale Hall when the Swope Middle School II band gets things started. Yes, there are two jazz bands at Swope! When we started Jazz in the Schools nineteen years ago many schools had no jazz band and there were no second bands. Over the course of the day you will hear from five middle school big bands, eight high school big bands, three jazz combos, and one jazz choir. Another first, the Billinghurst Jazz Choir will close the afternoon performances. 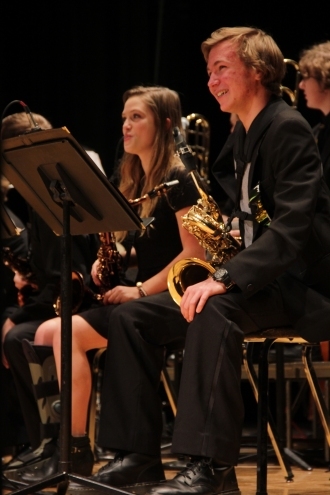 Jazz isn’t just for instrumentalists anymore at Jazz in the Schools. Noontime, our guest artist John Riley will host an open rehearsal/clinic with the RJO where the audience will hear the RJO perform with Riley where students are encouraged to ask Riley questions on jazz performance and improvisation. More on Riley a bit later in the column, but first let me finish the weekends proceedings. Remember everyone is invited to come listen and enjoy all day Saturday at no charge. Sunday February 10th Riley and the RJO will perform a matinee concert under the direction of Heglund at 2:00 pm in Nightingale Hall. This concert is free to all participating students (thank you donors!) and their parents will receive a discounted ticket. Of course, the public may purchase tickets as well. Thursday February 7th and February 8th are evening sessions for WCSD band directors where each session covers different aspects of big band and jazz improvisation topics. Thursday evening UNR jazz instructor Doug Coomler will rehearse UNR’s II jazz band to demonstrate rehearsal techniques and Heglund and UNR jazz instructor Hans Halt will demonstrate rhythm section techniques. Friday, clinician Dean Sorenson will rehearse the Reno Youth Jazz Orchestra I band to share rehearsal techniques and great big band arrangements geared for students. Now that I have your attention, let’s look under the hood because there is a lot more going on. Heglund has chosen three outstanding jazz clinicians to listen to the student jazz performances in Nightingale Hall and afterwards work with them in a clinic room on improving their jazz vocabulary. The UNR jazz faculty listens to each of the three jazz combos and provides feedback on improvisation and small ensemble performances. Our guest clinicians this year are Paul Lucckesi of Fresno City College, Dr. Matt Hoormann of Lindenwood University, and Dean Sorenson Director of Jazz Studies at the University of Minnesota. Our resident clinicians who work with the combos are Dr. Andy Heglund, Ed Corey, Peter Epstein, and Hans Halt, UNR Jazz Faculty members. Each has extensive experience in performing and teaching jazz and we appreciate their commitment to the weekend of jazz. Let me introduce you to our guest artist John Riley. Riley began his music career at the tender age of eight after receiving a snare drum as a gift. With parental encouragement (and patience) and a good local drum instructor at the age of twelve he began playing in rock bands and listening to jazz. In 1971 he began studying with legendary drummer Joe Morello of the Dave Brubeck Quartet, studied at North Texas State, toured with their One O’clock Lab Band and moved to New York City in 1976. There his career took off starting with the Woody Herman Big Band. After touring he returned to NYC and freelanced with a Who’s Who list of jazz greats in the Big Apple, from Miles Davis, to Stan Getz, Dizzy Gillespie, and Joe Lovano just to name a few. He is also a member of the Village Vanguard Jazz Orchestra and the Carnegie Hall Jazz Band. His education credentials are just as daunting. He is on the faculty of the Manhattan School of Music and Artist in Residence at Amsterdam Conservatory, Holland. 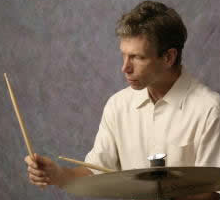 Riley has authored The Art of Bop Drumming, The Master Drummer DVD, and teaches master classes around the world. Heglund has chosen a wonderful program to highlight Riley’s drum mastery. Arrangements from the libraries of Woody Herman, Bob Mintzer, Buddy Rich, and Duke Ellington will take you from Buddy Rich’s bravado to the subtleties of the Duke. If you want to experience a master drummer propelling the RJO to new heights this concert must not be missed. It takes a lot of work and support to produce a four-day event like this so I must thank UNR and all their staff for hosting at such a fine facility, our Partner in Education the WCSD District in organizing the in service program, and of course the RJO staff who makes sure everything and everybody are in the right place at the right time. I thank our donors and grantors who make Jazz in the Schools available to all students and their parents free of charge. I also thank all the band directors who keep our students engaged in the art of jazz and a special shout out to Heglund who’s passion for music education has allowed Jazz in the Schools to blossom. Finally, I would like to share something personal. Recently I visited a dear friend who I went to school with and performed with for many years in the Bay Area. He became afflicted with Parkinson’s disease several years ago. He was born to play the trumpet with grace and authority and did so for many years, but that has been taken away from him. That afternoon we listened to a recording of the San Francisco State one o’clock band we both performed with in the mid-seventies. We reminisced about our days at San Francisco State and were both amazed after all these years how good that recording still sounds. It reminded me that music, as all art, is a celebration of life to share and experience. So, come join us for the Jazz in the Schools weekend and see the next generation of jazz musicians blossom.